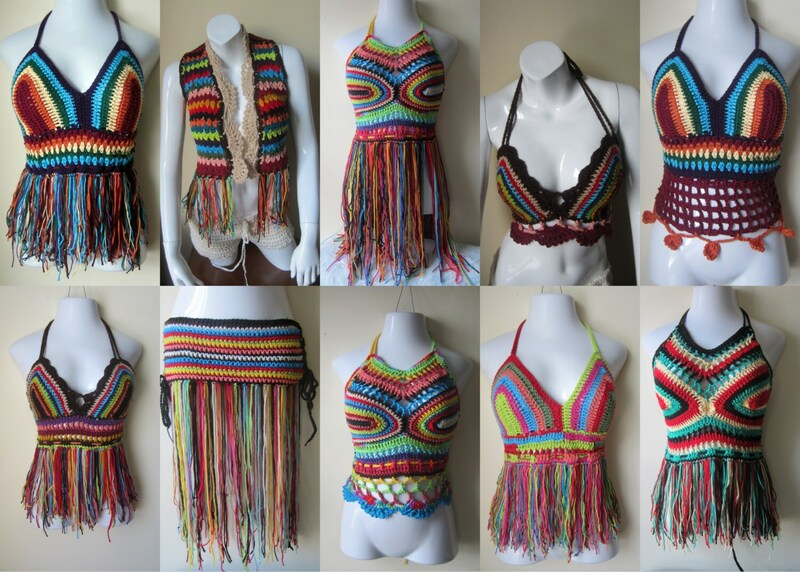 This is a colorful festival fringe halter top. It is the ultimately crochet halter top for COLOR LOVERS. I taped into my Africa roots with its love of vibrant colors and came up with this design. This halter top is perfect for festivals, summer days and beach wear. If you love festivals you do not want to miss this top. Created from cotton and acrylic yarn. Available in several sizes just select from drop box, Please leave you waist measurements too. The croochet halter top is gorgeous, i adore it.... Thank you!